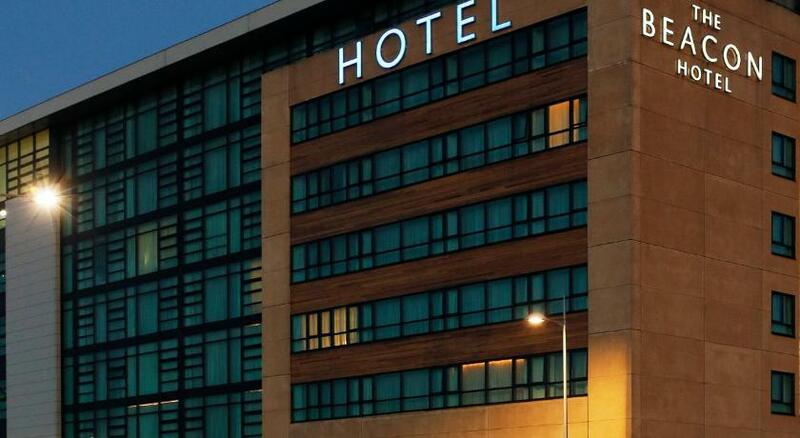 The Beacon Hotel Dublin is a 4-star boutique hotel in Sandyford, South Dublin. Next to Ireland's most prestigious shopping experience, Dundrum Shopping Centre and the very popular Leopardstown Racecourse. An exciting hotel with a touch of luxury. The Beacon Hotel one of the stylish luxury hotel in Ireland is located in Sandyford Dublin 18. We are just 20 minutes from Dublin city centre via LUAS. Sandyford is one of Dublin's commercial district, whether you are on business or pleasur trip, we are the perfect accommodations to have a memorable stay. We are in an ideal location in Sandyford, Dublin 18, Dundrum city centre is a 10-minute walk and has a large shopping centre and much more. There is a Luas tram stop outside the hotel, while staying at the Beacon Hotel, make sure you visit Dublin's tourist attractions such as Book of Kells, The Jameson Distillery, Christ Church Cathedral, The Chester Beatty Library and much more. 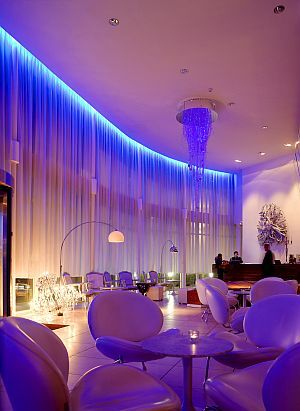 The Crystal Bar at the hotel is the winner of "Best Hotel Bar" award in 2007 and " Best Style Bar" in 2008 and "Best Hotel Bar" in 2009. It offers live music every Thursday, Friday and Saturday. Enjoy our fantastic bar menu and drinks at the Crystal Bar while you are chatching up with friends. Our friendly professionally trained bar staff are very warm and welcomings. My Thai Restaurants at the Beacon hotel is one of the most stylish Thai restaurant in Dublin. With an amzing atmosphere and Asian Pacific menu, customers enjoy the authentic taste of Asian food. One of Ireland's most exciting race course is Leopardstown Racecourse which hosts a number of fixtures throughout the year and is situated just 5 minutes drive from the Beacon hotel in Sandyford. We will bring the races to you if for any reason you can't go to the course, we make sure you enjoy drinking in Crystal Bar whilst watching the new TV channel At The Races. The Beacon hotel's meeting and conference facilities in Sandyford Dublin 18 that can cater from 2 to 40 people. Clich here to queries and more information on our meetings and conference facilities.